Business Benefits Group - What is the Fiscal Cliff? On Jan. 1, 2013, when the terms of the Budget Control Act of 2011 take effect, the United States will face what has been referred to as the “fiscal cliff.” In general, this refers to widespread tax increases and spending cuts that will occur if the tax cuts put in place by former President George W. Bush expire as scheduled. Congress is working to negotiate a deal to avoid the fiscal cliff but faces significant challenges in reaching a compromise. If a deal cannot be reached, the economy could be significantly impacted: the U.S. could face another recession, unemployment rates could skyrocket and many individuals and businesses could suffer the effects. However, reaching the fiscal cliff would cut the federal deficit and some sources say negative effects would be gradual and could be addressed after Jan. 1. This Business Benefits Group Legislative Brief provides an overview of the fiscal cliff and how it could affect you and your organization. New tax rates provided for by the health care reform law are set to take effect on Jan. 1, 2013, as well, whether the fiscal cliff is resolved. 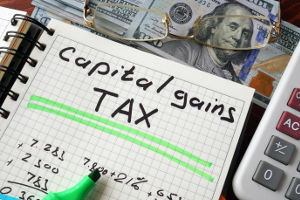 These include an additional 0.9 percent payroll tax on income for high wage-earners ($200,000 for individual filers and $250,000 for joint filers) and an additional 3.8 percent tax on investment income. 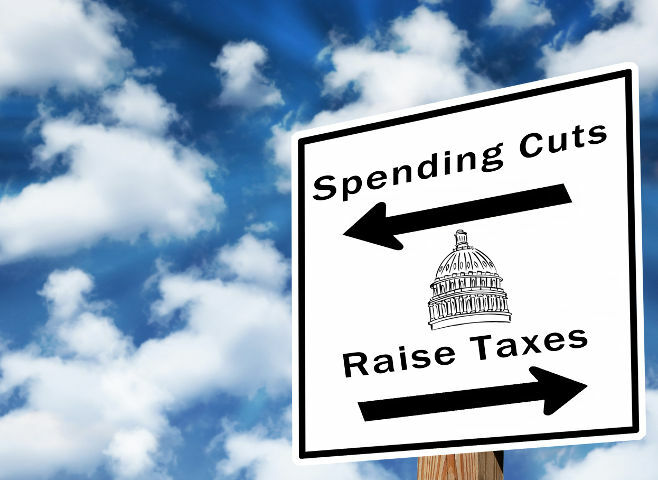 In addition to the tax increases, $1.2 trillion in automatic spending cuts are set to begin. These cuts would be spread out over a 10-year period and are divided between defense and non-defense federal spending. Programs affected would include overseas defense operations and weapon systems as well as housing assistance and energy subsidy programs. Certain programs, such as Medicaid, are exempt from the cuts. Both political parties have stated that they want to avoid the fiscal cliff. Aside from letting the tax increases and spending cuts take place as scheduled, Congress has two options on how to solve the fiscal cliff issue. They could reach a comprehensive agreement to address the deficit issue-a bargain that would include a combination of revenue increases and spending reductions. Or they could implement stop-gap measures that would patch the problem until a more permanent agreement can be reached (or until a new patch is needed). If Congress allows the scheduled policies to take effect, it is projected that gross domestic product (GDP) will decrease by 4 percent and unemployment will increase by 1 percent in 2013. If a full-scale extension of the expiring tax cuts is granted, without any spending modifications, it is projected that the economy would not be negatively affected, but the deficit would continue to grow to unmanageable levels. If Congress reaches a compromise that allows some taxes to increase and some spending cuts to take effect, it would likely be a short-term solution, but could significantly decrease the deficit, and avoid another recession. Any fiscal cliff negotiations could also potentially impact the implementation of the health care reform law, with premium subsidies, Medicaid expansion and the implementation schedule potentially on the bargaining table. Until Congress reaches a decision, it will not be clear how these changes will affect you. There is speculation, however, that the lack of resolution will cause individuals and businesses to hold off on scheduled or potential spending in anticipation of the changes. Because of this, GDP could be reduced by up to half a percentage point in the second half of 2012. The Business Benefits Group will continue to monitor the fiscal cliff situation and provide information on important developments to you. For more details on obtaining comprehensive and affordable insurance strategies for your business, please call directly or contact Business Benefits Group online today.